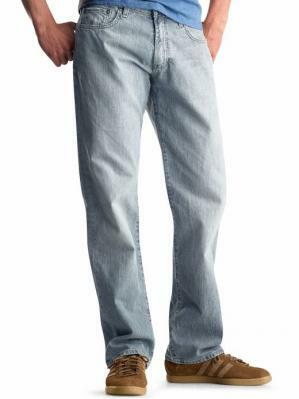 High-quality cotton denim with fading, grinding at pockets and bottom hem. 5-pocket styling, sits just below the waist, straight through the leg, straight leg opening. Canvas pocket bags create less bulk, interior locker loops for easy hanging, stamped rivets and interior shank.